The Christmas season is upon us, and several businesses are conducting competitions or sweepstakes where consumers may “Enter for a chance to win!” prizes including furniture, appliances, vacations, cash or even homes and vehicles. These competitions are attractive to consumers. Advertisers must be careful that the representations made to the public are accurate and that any limitations which apply to the competition are clear and reasonably brought to the attention of consumers. Further, these competitions are usually classified as falling within the betting, gaming and lotteries regime and as such, businesses must ensure that they are compliant with the regulatory standards in place. Most competitions have a “conditions apply” term, which invariably is in fine print and on an inconspicuous place on the flyer or advertisement. The conditions which apply may include important details such as the promotional period, the date of the prize draw, eligibility to enter and disclaimers. Consumers are typically unaware of these conditions or where to find them, which raises the issue as to whether consumers are bound by these conditions. The CPA provides that the advertiser must also take reasonable steps to bring those terms and conditions to the attention of its consumers. An advertisement may amount to a contractual offer, giving rise, if accepted, to a ‘unilateral contract’ . The parties to the contract would be the advertiser of the good or service, and the consumer which has bought the good or service. An advertiser seeking to rely on a “conditions apply” clause must show that it was incorporated as a term of the contract. However, no contract will be formed if the terms of the offer are not sufficiently clear, or have not been reasonably brought to the attention of the consumer. Advertisements which simply give details of available products, such as price or other characteristics, will generally be considered to be ‘invitations to treat’ rather than contractual offers . However, if an advertisement promises the consumer a certain thing or result, if the consumer performs a certain action, or spends money, this may result in the formation of an enforceable contract. So for example, if the advertisement states that if the consumer spends over $20,000 in the advertiser’s store, then the consumer will be entered for a chance to win a flat screen TV, then once the consumer performs the actions of spending the $20,000, the advertiser MUST enter the consumer in the competition. Therefore if the advertiser wishes to limit the scope of entry, the type of product to which the sweepstake relates, or limit liability for possible defects in products, in order for the consumer to be bound by these terms, they must be reasonably brought to the consumer’s attention. If the consumer has actual knowledge of the clause at the time when the contract is concluded he is inevitably bound by it. When there is no actual knowledge, the consumer will not be bound if he has no reason to believe that the advertisement was subject to contractual terms. If the consumer has reason to believe that an advertisement contains or is subject to contractual terms he may be bound by those terms, even though he does not choose to read the terms. The fact that a consumer who has entered a competition, where the advertisement refers to conditions, has to take some further steps to find out what the conditions are, does not mean that reasonable notice has not been given. However, it may be argued that merely stating that there are further conditions which apply is insufficient. Perhaps advertisers should also inform consumers where the conditions may be located. So for example, a consumer may be bound by the conditions if he is handed a flyer which states “Conditions Apply. See reverse.” Even though the consumer has to turn over to the back of the flyer to see the conditions, he may still be bound by them, as reasonable steps have been taken to bring them to his attention. If the advertiser has done that which is normally sufficient to give reasonable notice of the clause, it may bind the consumer even though, due to some personal disability, such as illiteracy, the consumer is unable to understand the clause. It may also be that the more onerous or unusual the exemption clause the more forceful must be the notice which is given of it. any competition in which any entrance fee, stake, contribution or subscription is payable for or in respect of the right to enter or to participate. Advertisers must be careful to ensure that they honour the representations made in these promotions and that clauses which may limit a consumer’s eligibility to enter are sufficiently brought to the consumer’s attention. The courts have held that where a person, by reason of a contract, has a right to belong to a limited class of competitors for a prize, he may recover damages for a breach of that contract which prevents him from entering the competition and deprives him of a chance of obtaining the prize. It is also illegal for a business to conduct any competition which requires authorization from the BGLC, without receiving such written permission. A contravention of the legislation may result in a fine or imprisonment. 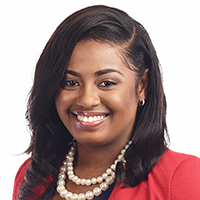 Amanda Montague is an Associate at Myers, Fletcher & Gordon and is a member of the firm’s Litigation Department. Amanda may be contacted via amanda.montague@mfg.com.jm or www.myersfletcher.com This article is for general information purposes only and does not constitute legal advice.